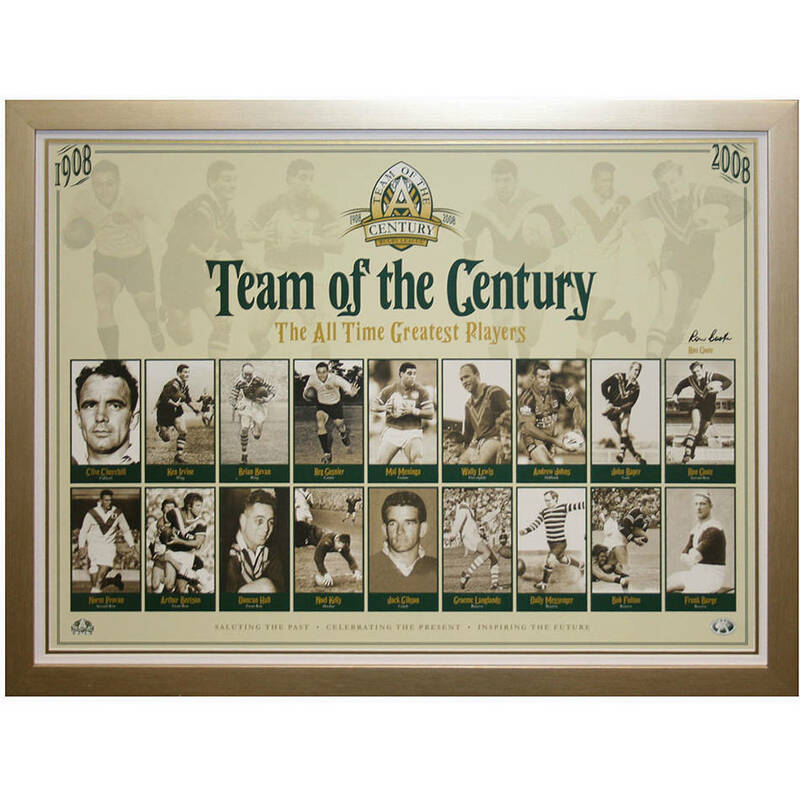 From a century of champions they have been chosen as the game’s greatest ever team. They come together on a field of dreams – one that excites the imagination of everyone who has followed a team or cheered on a favourite star. The lithograph has been personally signed by Ron Coote. Officially licensed by the Centenary of Rugby League and the NRL.